I received a Breaking News email last night from JewishPress.com. The gist of it was, the Waqf, which sits on Har HaBayit, called up Netanyahu's office, and threatened to start "World War 3" if Moshe Feiglin is allowed to go up onto Har HaBayit (Temple Mount) today. Netanyahu apparently gave the order to the police forbidding Knesset Member Feiglin from going up. This order is in violation of so many Israeli laws (well, 3 at least). Feiglin responded that he won't go up, but he no longer feels the vote with the Likud, since Netanyahu has trampled all over the law, instead of protecting and defending it, because Bibi is afraid of the Waqf (my addition). I think it's about time the State of Israel dismantled the Waqf, and removed them from Jewish Holy sites such as the Temple Mount, and the Tomb of the Patriarchs. 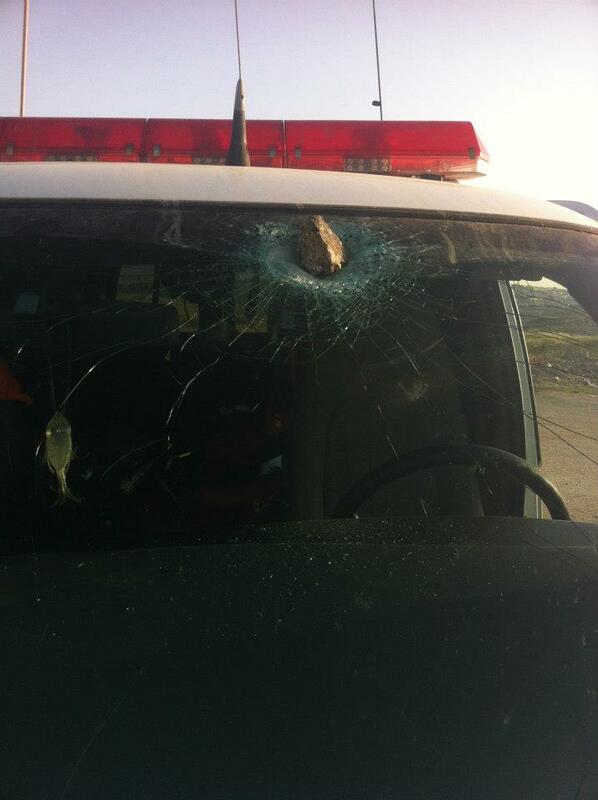 I think its time the State of Israel called their bluff. Because, all it is, is a bluff. 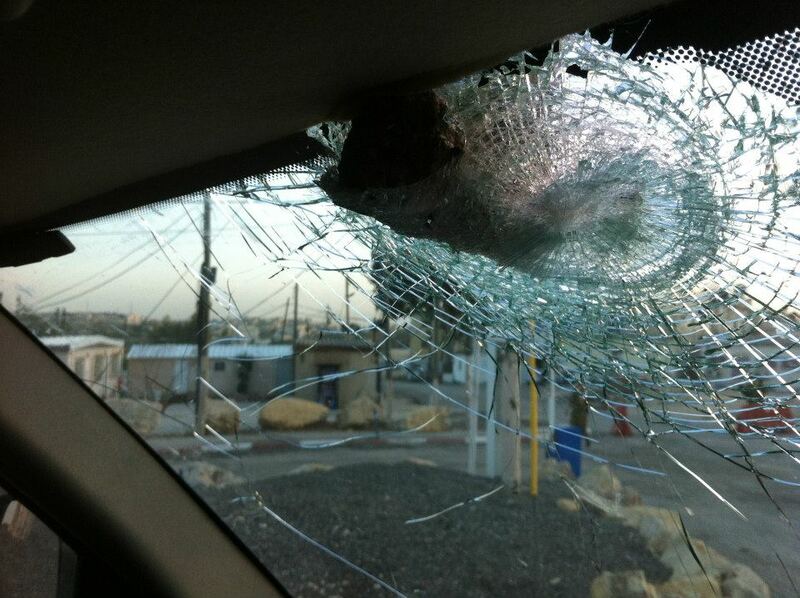 We've survived and thrived through the worst Intifada the Arabs could throw at us. It's time we displayed a little more sovereignty in our own country, and in our own Holy sites. Lies, Damn Lies, and Pallywood. 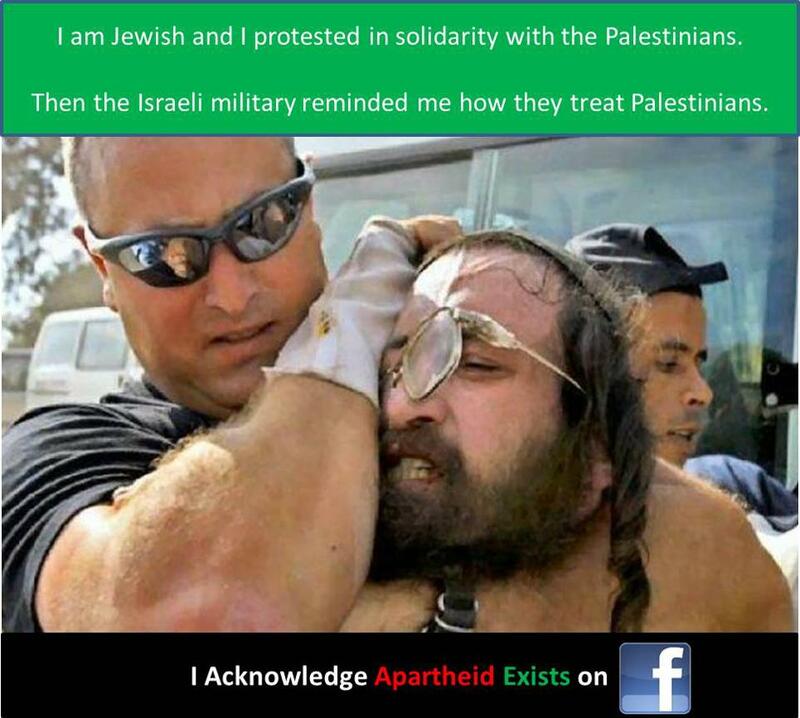 The following photo appears in the Facebook group "I acknowledge Apartheid Exists"
So why am I posting it? Because it's typical Palestinian nonsense. But why should we let facts get in the way of typical Palestinian lies? 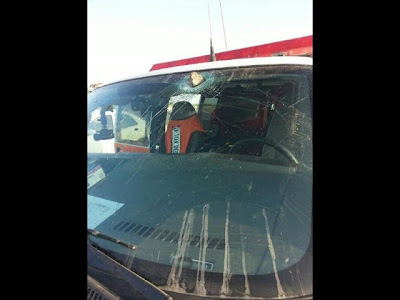 PS: The photo itself is distressing, yet its slanderous for Palestinians to hijack it and call it as their own. US Secretary of State John Kerry has managed to disappoint friends of Israel rather quickly since his appointment by President Obama. US Secretary of State John Kerry compared the victims of the Boston Marathon bombing to the nine Turkish activists killed by the IDF as they tried to break Gaza’s naval blockade, at a press conference in Istanbul on Sunday. Muqata Photo Roundup, Rosh Chodesh Iyar edition. 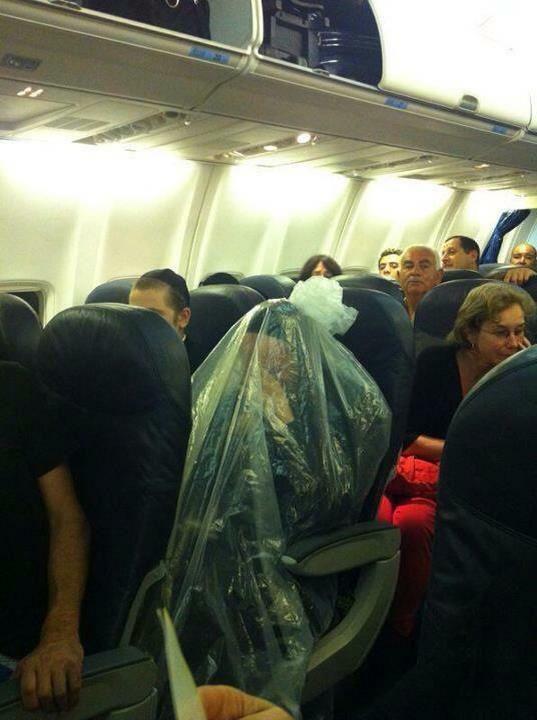 This airline passenger is a "kohen" and was told by his Rav that the way to avoid tum'a/ritual impurity by the plane flying over Jewish cemeteries in Israel was to wrap himself up in a bag like this. 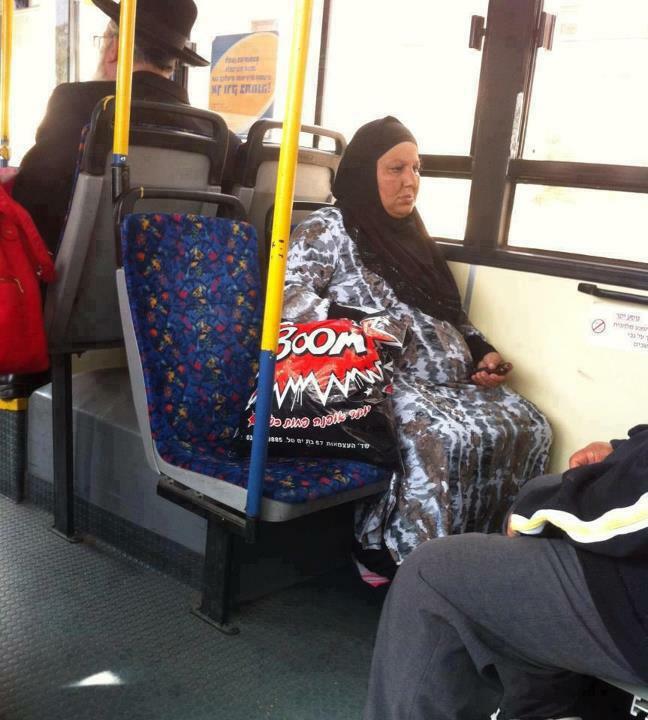 The Arab passenger on an Israeli bus has a "boom" bag . Awkward? Friday afternoon, returning from work on the Tel - Aviv to Rishon LZion train. Get off the train in Rishon, and remember I forgot a bag on the train with personal belongings...and the train is now on its way to Yavneh, and I need to pick up my daughter from gan...don't know what to do. One of the train station's security personnel sees I'm distressed and asks me what's up. After explaining that my bag was now on a train to Yavneh, he calmed me down, went to the train operations center, called the train security personnel on the Yavneh bound train, and ensured the bag would be on a train back to Rishon. He took my number, told me to pick up my daughter and he said he would call me when he gets my bag back. 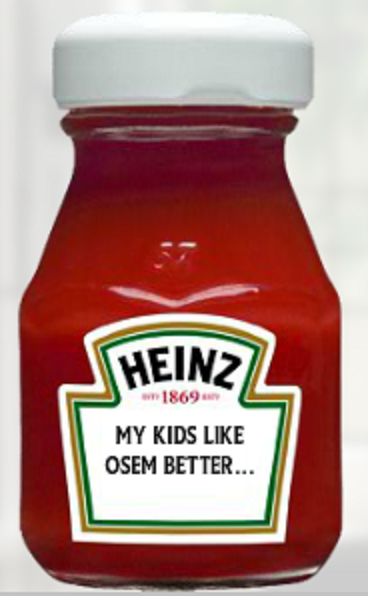 And that's what happened. His name is Kobasa Aiylin, and this post is for him. 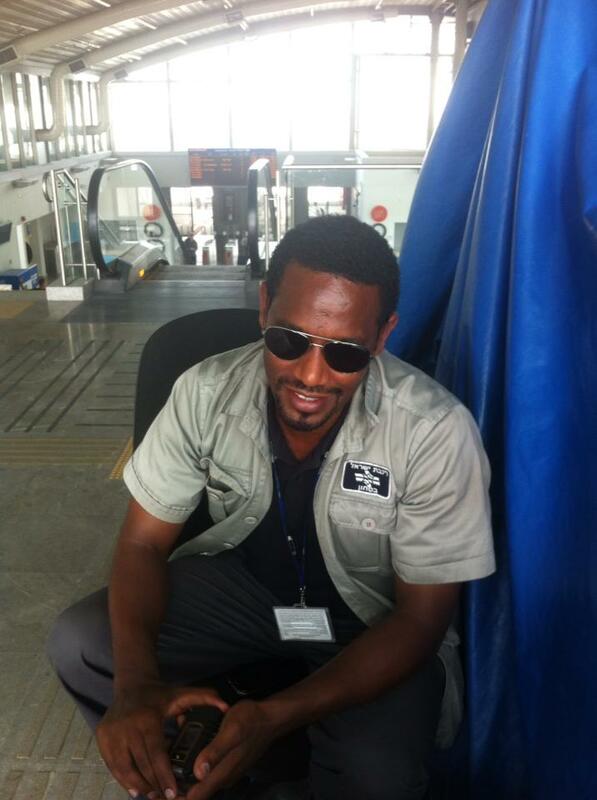 He deserves a million "likes" and for Israel Railroad Management to know how helpful and responsible he is. In what has become a daily occurrence, Palestinians are routinely throwing rocks at Magen David Adom ambulances, smashing windshields and seriously endangering the MDA medical crews. 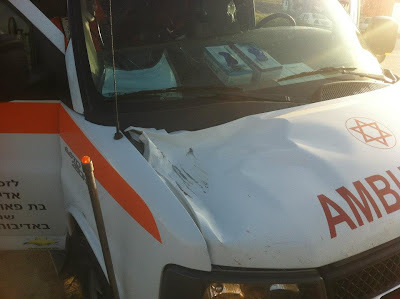 Despite that MDA ambulances and medics treat wounded without bias to race or religion, Palestinians target these life saving efforts, even when the wounded are Palestinians. April 2, 2013, 17:15 - Palestinians stone MDA ambulance on the Jerusalem - Hevron highway #60, near the community of Karmei Zur. April 3, 2013 15:43 - Palestinians stone MDA ambulance on Halhul bypass road, part of the Jerusalem - Hevron highway #60. 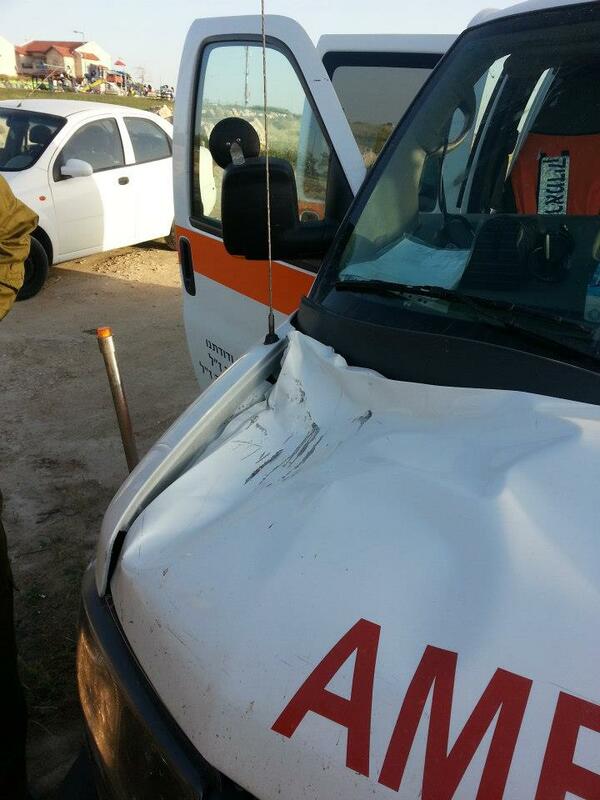 April 4, 2013 11:27 - Palestinians stone Neve Zuf community MDA ambulance near the Abud village on road 465.